Webinars | Blue Ridge Services, Inc. 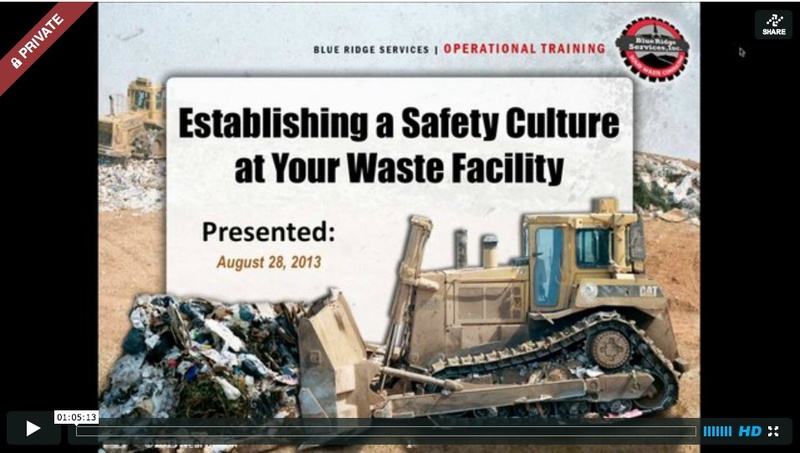 Taught by Neal Bolton, waste facility industry expert, on a wide variety of topics, including safety, design and planning, benchmarking, enhancing operations, and more. Course fee includes 1-hour webinar, PDF of PowerPoint slides, and free video recording of the webinar. Because we know that money is tight, we are launching a new training series of online webinars. You don’t have to travel to a conference or training session, you can pay for one registration and have your entire crew sit in on a training. You can also purchase previously-recorded webinars on-demand. 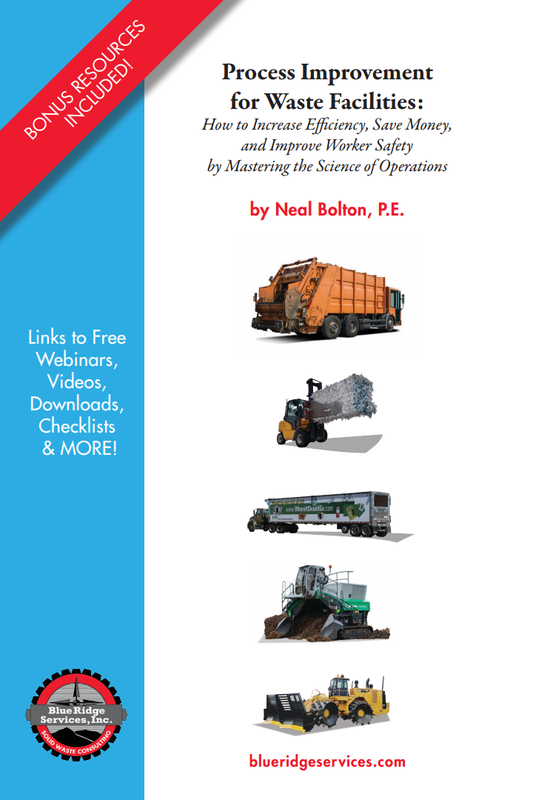 Neal Bolton, owner of Blue Ridge Services and author of the Handbook of Landfill Operations, conducts these one-hour webinars. In addition to his nuts-and-bolts approach to waste facility efficiency, safety, and operations, Neal also creates an interactive learning environment. You don’t just sit and listen… you engage. You ask questions. You hear from your peers. And you come away with practical information that you can apply immediately. Interested in a specific topic but don’t see it on the calendar? Contact us and let us know. We may be able to offer a special webinar (if we have enough interest in a specific topic). 1. I’m not very computer-savvy. Is a webinar really challenging to figure out? a. No! The platform we use is called GoToTraining, and it is very user-friendly. When you register, you will get an e-mail from us explaining how to get set up. You can also get in touch with us at any point to ask questions or do a trial run of the webinar. 2. I really want to participate in a specific webinar you are offering, but the date/time doesn’t work for my schedule. a. No problem! We record every webinar and offer it for sale in our online store. You can purchase and download the file you need, and watch it at your leisure. 3. I registered myself for the webinar, but my co-worker wants to join, too. Is that OK? a. Sure! You will have to share one computer, because each registration provides one log-in, but you are welcome to have as many co-workers join you as you like! 4. I need continuing education credits for this webinar. Do you offer those? a. Absolutely! Email Sarah Bolton for more information. Just keep in mind, if more than one person is watching the webinar on one computer, they will each need to register to receive CEUs. Contact us for a special promo code to get a group discount. 5. I registered, but don't want to pay via PayPal. What are my other payment options? a. We can accept a check or credit card over the phone. Email Andria Radmacher for more information. Do you have other questions not answered here? Contact us and we will be happy to help you! Our entire training library is now available on-demand. Click here for more information.